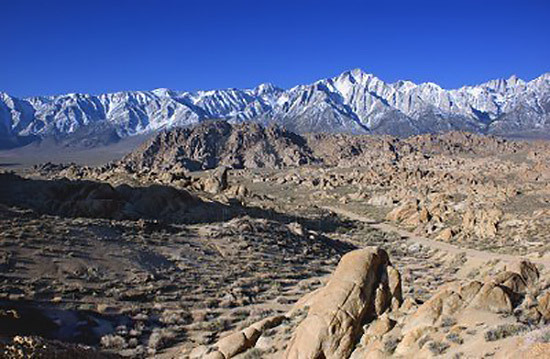 Alabama Hills, in California, was the location for THE ADVENTURES OF HAJJI BABA (1954) starring Elaine Stewart and John Derek. 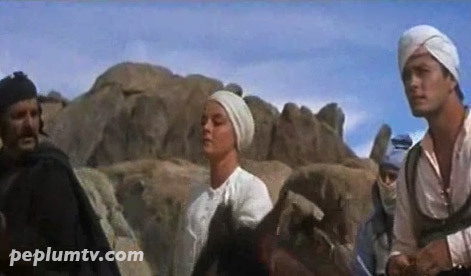 The locations were well used even though they didn't look too 'Arabian'. 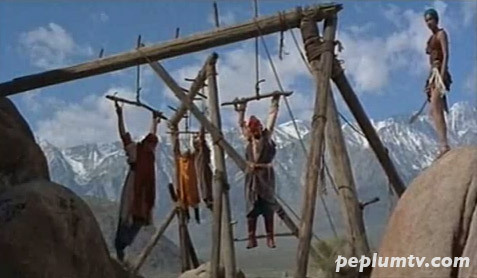 Fun movie. Too bad I have not been able to find a widescreen version on DVD. 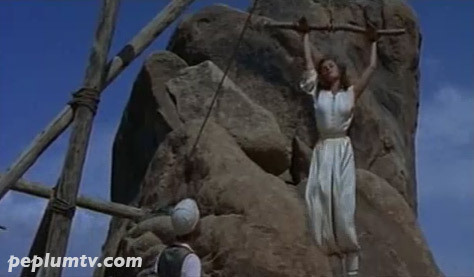 The business of suspending people by their arms is pretty campy, and makes the leader of the Turkemen women look cruel. 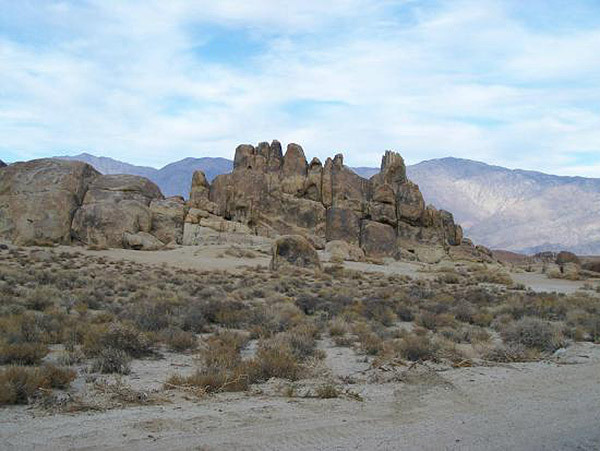 Many Westerns were also filmed here along with some of them early Sci-Fi movies from the 1950's.